This book covers birdwatching (or birding) from 89 different angles, starting with the issues of first taking up the hobby, and gradually moving into areas that perplex and enthrall the experienced birder. The collection has grown continually over the years, as columns have appeared regularly in naturalist publications, and now few birdwatching stones remain unturned. Some articles are humorous, while others are more serious, but all will entertain or enlighten anyone interested in birds and those that watch them. 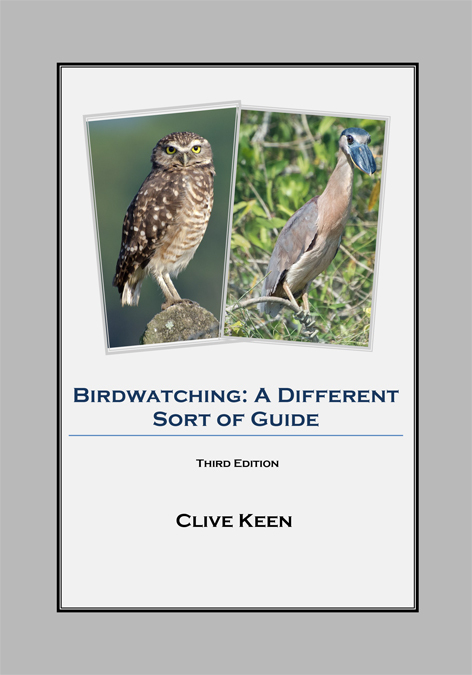 Initial stuff, including a guide to bluffing your way at a gathering of serious birders. Ten essays on the theme “Why exactly do we go birding?” including plenty of scurrilous advice to beginners. Five essays on why birders’ eyes often are very wide indeed. “Whip-poor-will” is a surprisingly good name, but why doesn’t the Red-cockaded Woodpecker have a cockade, red or otherwise? Four essays on such mysteries. The joys and sorrows of administering the avian tick, unveiled in six essays. When is a Tick Not a Tick? Is There Life after Lifers? One of the best ways of getting it right is to figure out how to get it all wrong. Six essays show it’s as true of birding as of the rest of life. Birders are almost as much fun to watch as the birds, and the theme deserves nine essays. How to be polite when you’re told that a starling is a crow, and advice on not becoming the neighborhood bird bore. Whether any birds are boring, why some people are addicted to shorebirds, and a description of the awfullest bird ever, in eight episodes. Are There Such Things as Boring Birds? You have to find the birds before you look at them. Five reasonably sensible essays on where, how and when to go see them. Words of wisdom on some of the subtler points of birding. Five essays originally written for a photography publication on wildlife photography, including lots of how-tos. Six essays aimed at birders who have been around the block a few times. Essays that horrify the BF Skinners of the world. Do Birds Have a Sense of Fun? Birding: All Sweetness and Light? Three essays that move from the ridiculous to the sublime, and a highly detailed index.